Alpha Theta Zeta Chapter of Zeta Phi Beta Sorority, Inc. will celebrate its 97th Anniversary on Sunday, January 15th at Tremont Temple Missionary Baptist Church. The speaker for the occasion will be Ms. Chrislyn Turner, the immediate past Southeastern Regional Director. 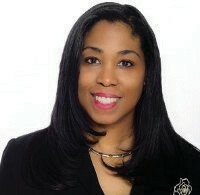 Ms. Turner is a Diamond Life member who has also served as the State Director of Georgia, chapter president, National Membership Committee and many more state, regional and national committees. She received her undergraduate degree in communication from California State University in Long Beach, California and her master’s degree in Public Administration from Clark Atlanta University. The chapter will participate in a sisterly relation activity on Friday by attending the movies with dinner to follow. On Saturday in support of our undergraduates, the chapter members will attend both a cookout on the campus of Savannah State University and the Greek night basketball game between Savannah State and Florida A&M University. Monday, January 16, 2017 has been declared a National Day of Service for the sorority. Alpha Theta Zeta chapter will assist in feeding the hungry. While in Savannah, Ms. Turner will participate with the graduate and undergraduate chapters from Savannah State and Armstrong State Colleges in the Annual Martin Luther King, Jr. Parade. All Greeks and friends of Zeta are invited to attend Sunday’s celebration at Tremont Temple Missionary Baptist Church.